Redefine your business and build on your business relationships with the PACE professional approach to customer service. PACE Virtual Office solutions put you a step above your competitors, giving your business that impressive executive image and credibility. Every minute you spend answering the phone and worrying about paperwork costs you time and money, time and money that’s better spent elsewhere. With our Virtual Office team working for you, you’re free to focus on what’s important for you and your business – knowing we’ll take care of the rest. Use our modern professional CBD business address, gain a unique dedicated PACE phone extension for diversion of your existing business number, and have an experienced professional receptionist personally answer and screen calls in your business name. Whether its overflow or everday and out of hours phone service you require, make sure all your business calls are answered promptly and professionally by using PACE Business Services Virtual Office solutions. For a very competitive and manageable monthly fee, online appointments can be scheduled and managed on your behalf, we can answer questions from your callers with information you have provided, messages can be taken and instantly transmitted to you no matter where you are, or if you prefer, important calls can be transferred directly to you – it’s your choice, and best of all, your clients will never know the difference. You can have it all with the variety of affordable PACE Virtual Office solutions. Gain freedom and time - uninterrupted time with your clients, extra time to get your work done, time to attend meetings and development opportunities, take a break or a holiday, or just take time to work on your business development, knowing PACE has your business handled. Enjoy a professional image and instant credibility with a professional virtual office. Take advantage of our modern Geelong CBD business address, and choose services to fit your business style. All businesses are different and at PACE we understand one solution doesn't fit all business needs. This is why we customise our business solutions to meet your business needs. Choose some or all from our range of telephone answering service plans, online diary management plans, virtual assistance plans and secretarial services. Instantly look and sound professional with A Virtual Office Assistant working for you, representing your business during business hours or intermittently, to give you uninterrupted time with your clients, extra time to get your work done, freedom to attend meetings, take a break or to work on business development. A Virtual Office Assistant is also your invaluable back-up for planned or unexpected staff leave! We answer your calls with a professional business greeting, just like you would. We tailor our solution to your business needs and answer questions with information you have provided. We can email or send SMS to you, transfer the call to you, take bookings, make appointments or email information to the client on your behalf. An online diary is a great tool in business. It can be accessed from your computer and/or mobile phone with password protected logon providing additional flexibility for practitioners and service providers. There are many online diaries available with provisions for making cancellations, rescheduling appointments, non-attendance and notatiions for tracking and billing purposes. Simply select the Online Diary Management Plan to suit your business needs and change your plan as and when needed. Have a meeting scheduled and don't want to be interrupted? Perhaps team training or unexpected staff leave? Divert your calls and your virtual receptionist will take care of everything. Need a holiday and want a professional to take care of your calls whilst you really relax? Do you have a staff who need to take holidays? Or perhaps you need some help to cover staff shortages or periods of sick leave. Most business owners never get the opportunity to take a holiday and really relax. PACE takes away the stress so you can relax, enjoy your holiday and rejuvenate knowing that your business needs are covered. Your business calls are answered with passion and in a professional manner as we care about your business and your success. 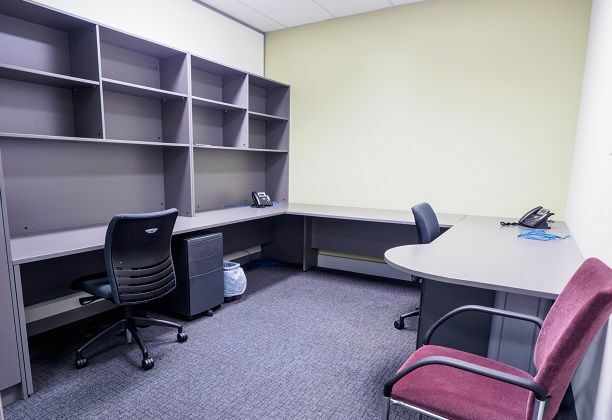 The PACE Business Services virtual office services Geelong can also provide your business with a Geelong CBD mailing address and mail forwarding services. If you’re interested in PACE Business Services virtual Offices or virtual assistants Geelong you may consider our General Secretarial services – another PACE Business Services virtual office solution, which is designed to give business owners more time to spend with their clients by providing affordable administrative support, bridging the gap until you are in a position to hire an employee. PACE Business Services bridges the gap for businesses by providing administrative assistance when you need it! How can PACE Business Services assist your business?